1. Whether you’re an accomplished, thriving wedding or portrait photographer, or a serious amateur aspiring to become either, your boot will leave the deepest welt if you don’t attend 2012 WPPI Las Vegas. This is Wedding & Portrait Photography International’s biggest event of the year; more than 16,000 attended the 2011 show. The convention is scheduled for February 16–23, 2012, and the trade show February 20–22, 2012, with both events at the MGM Grand Las Vegas. 2. No doubt, you’ll be kicking yourself raw for missing the opportunity to visit incredible Las Vegas. Most of what you’ll be doing there won’t have to stay there. That’s because you’ll be busy immersing yourself in a comprehensive array of more than 150 programs, classes and seminars, such as WPPI University, Photographers Ignite and Master Classes. You’ll learn the latest photography techniques to advance your skills and business-building methods to drive your studio forward. 3. Don’t expect to be able to sit for a couple of weeks once you see all the glamour and glitz you missed at the Awards Night dinner and ceremonies. 4. You may even hit yourself in the head when you realize the Trade Show was another great learning environment. 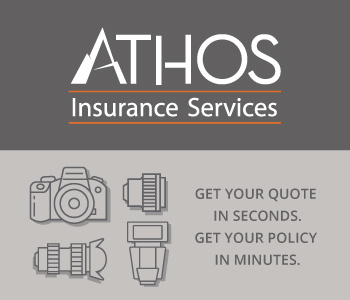 It is the best opportunity to see and inspect the latest photography products and find a special offer or two that could save you a large amount of money. 5. “Ouch! That’s for not taking advantage of WPPI Platform Classes!” Choose from a 5-day schedule of the very popular Platform Classes. Learn creative portrait and retouching techniques from Lindsay Adler and listen to Sarah Petty reveal her best marketing secret. Topics for the Platform Classes include Technical, Wedding, Business/Marketing, Motivation, Lighting/Posing and many others. Although you can attend any of the more than 90 Platform Classes without pre-registration, seating is limited. Your best option is to use the WPPI Pre-board system. You can reserve a seat for as many as 5 Platform Classes that are important to you. Pre-board seats are also limited. 6. Receive full value for your WPPI membership. It qualifies you to attend an exclusive PLUS Class. For 2 entire days, you’ll work closely with one of the best instructors in the photography industry to develop the specific technical and business skills you need to be more successful. For example, David Williams and Storey Wilkins will speak on Weddings and Portraits: Back to Storytelling; Sal Cincotta will explain how to Shoot to Sell; and Cliff Mautner will put you on The Right Track to Success. A Full Registration pass is required. PLUS Classes are limited to 30 attendees and each 2-day session is only $395 in advance ($425 onsite rate). 7. Why punish yourself? Make your reservation to 2012 WPPI Las Vegas now, so you’ll have your pick of 50 different Master Classes. These are for wedding and portrait photographers wanting to move to the top of their game, to be in greater demand from a wealth of new clients. Master Classes are smaller sessions of just 50 participants who will have the benefit of these speakers and many others. Joe and Mirta Barnet reveal The Capture and Care of High-End Brides; Tasra Dawson on Redefining Teen and Senior Portrait Photography; and Creative Set Designs From Start to Finish in a 12x12 Space or Smaller with Steve Ragland. A Full Registration pass is also required for Master Classes, which cost just $60/class ($65 onsite rate). 8. You should be very rough with yourself if you are just entering the ranks of commercial wedding and portrait photographers and didn’t enroll in WPPI University. The speakers and topics for this 2-day workshop are focused specifically on helping new photographers start their businesses with the right mindset, strategies and skills. You’ll never forgive yourself if you’re not in the audience to listen to the veteran photographers who know all the pitfalls and perils, and paths to success. Scheduled to speak are Sondra Ayers and Jerry Deck, Lindsey Adler, Sal Cincotta, Tony Corbell, Jerry Ghionis, Doug Gordon, Craig Heidemann, Julieanne Kost, Tim Meyer and many others. WPPI U is an incredible value at just $139 for 2 whole days ($150 onsite rate). 9. You can escape all this pain and punishment by simply attending 2012 WPPI in Las Vegas, February 16–23, 2012, at MGM Grand Las Vegas. 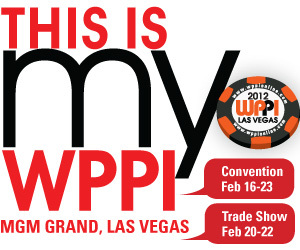 For complete information and to register, visit http://www.wppionline.com/wppi-show.shtml.